The problem with Nigeria is not the lack of laws but the will to enforce deterrent laws. The system is rotten not for want of ideas but for lack of character to tackle the monster head-on. There are more than enough agencies vested statutorily with the responsibilities of regulating markets, quality-control of products as well as acting as a bridge builder between manufacturers and consumers. It is beginning to look like these agencies, save for a few are either non-existent, blind to their responsibilities or are being supervised by those they are supposed to supervise. Small wonder, a carefully organized system is getting increasingly dysfunctional. A few examples will suffice. 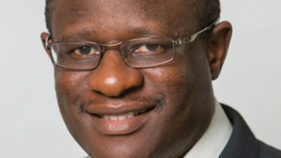 A marginal field operator in the Nigerian Oil and Gas industry owned by Indians initially contracted some Nigerians as Petroleum Geologists for X Naira and after some time, decided to unilaterally review the terms of the contract by offering to pay X/3 Naira even when the going rate for such a job was 2X Naira. As will be expected, the affected Nigerians turned down the offer and sent a petition to the National Petroleum Investment Services, NAPIMS, a subsidiary of the state owned Nigerian National Petroleum Corporation, NNPC. They were promised to go home and worry no more. 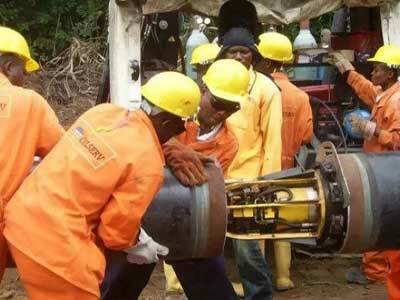 Their petition never saw the light of the day and with a confidence drawn from the blind oversight of the NNPC officials, the affected Nigerian Petroleum Geologists were promptly replaced by Indians and to this day, Indians are doing those jobs in Nigeria at a third of the rate paid Nigerians. Another disgusting example in this sector is the penchant for some marginal field operators to drill an oil well behind a Petroleum Geologist. Why should a well, development, appraisal or any well at all be drilled without contracting a Petroleum Geologist to site? What has NAPIMS and the Nigerian Local Content Development Commission done or are doing in this regard? These agencies have got to step up their game! Majority of the bottled and packaged drinking water in Nigeria, if at all, they went through a rigorous production process do not reflect that in their labels. A large part of the brains, lungs and human body in general is made up of over 60% of water. Why should we be so careless about such an important liquid to our lives? There are trace elements and ions that make up the water we drink and there is an amount below and beyond which it is dangerous for human consumption. Having different body chemistry or metabolism is not enough reason to spend our money on slow-motion-poison. They have done well in the area of control of drugs, what has the National Agency for Food, Drugs Administration and Control, NAFDAC done and is doing in this regard? Bottled and bagged drinking water manufacturers left on auto pilot will kill a greater number of people faster than fake drugs and turn another greater number to vegetables. Nigerians want to buy Nigeria but why would they do that when the foreign option is more durable and cheaper in some cases than the local ones? An example is a bag of made in Nigeria rice that sells for 150% of the equivalent weight of an imported bag of Thai rice. A foreign made brogue is cheaper than a locally cobbled one! Looking inwards is different from looking dumb! Why should an electricity consumer pay N70,000.00 and N45,000.00 respectively for double phase and single phase meters that are supposed to be provided free by the electricity distribution companies, DISCOs? Agreed, the explanation given was that they would distribute the pre-paid meters free but it will take some time and whosoever wants it faster than they can provide should pay for it and such monies will be deducted from their electricity bills. 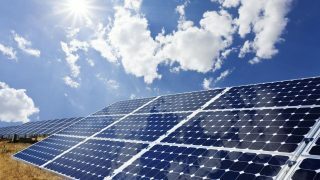 Knowing full well that the quantity of energy consumed and subsequent billing is done mostly by guesstimates, it is certain the project will be dead on arrival! Yet, the DISCOs are privately owned and run. 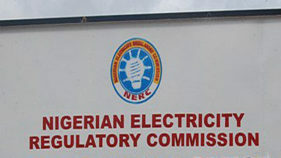 What is the Nigerian Electricity Regulation Commission, NERC doing about this? Accidents, act of God and man-made do happen but isn’t that the reason why oversight agencies are there to prevent such? The Nigerian Civil Aviation Authority, NCAA with two fatal Helicopter accidents from the same company in a space of six months should redouble their efforts in carrying out their oversight functions. If possible, the strict standards carried out on Helicopter operations in the North Sea should be followed through so that Nigerian airspace does not become a dumping ground for the North Sea rejects. These are just several out of so many examples but it is quite clear that some of these agencies are working while some are snoring! Yet, some are underfunded and poorly trained. It is therefore safe to conclude that some of these agencies themselves need oversight to be carried out on them! Who even knows if some of them are not made irresistible offers thereby turning a blind eye on errant companies? It is time for the President, concerned ministers and our honourable/distinguished members of the National Assembly to step into these matters!